It's no news that cell phones are literally in every pocket – their number grows by hundreds of millions every year. But with that comes an alarming, but yet unproven theory: what if there is a link between cell phone use and brain cancer? A recent article by the New York Times takes a deep look at the issue from the very first tort suit against a phone maker in the early nineties to the latest studies. The crux of the matter? In all likelihood you shouldn't be concerned, but taking precautions wouldn't hurt. Read on to find out why. The issue gained wider publicity after a Larry King show back in 1993, brought up by David Reynard from Florida after the death of his wife. “The tumor was exactly in the pattern of the antenna,” Reynard said. A type of brain cancer that appears in some 6,000 adults was the reason for his wife's demise and Reynard was convinced that cell phone radiation was to blame. A civil law suit followed against NEC, but the Florida Circuit Court hearing the case admitted that evidence was uncertain, while the scientific hypotheses – speculative, and eventually Reynard's claim was rejected. Fast forward to 2011, when phones, just like technology in general, have moved a great deal, the same question remains: do we have any convincing evidence to establish a link between cell phone use and brain tumors? A large-scale population survey seems to be the best way to determine it. One of the first studies covered 12-year period from 1990 to 2002 only to establish that age-adjusted incidence of brain cancer hasn't increased. Quite the opposite, actually, it fell to 6.5 cases per 100,000 men and women in 2002 from 7 cases in 1990, even on the background of a dramatic increase of cell phone use. A gigantic study dubbed Interphone took on the task in 13 countries for ten years including 5,117 brain-tumor cases and 5,634 people with no brain cancer. It was backed and financed mostly by the European Union along with cell phone firms, and coordinated by the WHO. The much anticipated results showed no clear evidence, even worse – some of them were contradictory, mostly due to the fact that the respondents were asked to fill in their previous daily cell phone as per their memory. But disproving a link between increased cell phone use and brain cancer based on such a survey would also be a mistake as a phone might have an elusive rather than direct carcinogenic effect, which might develop into a tumor after much longer period like 20 year. 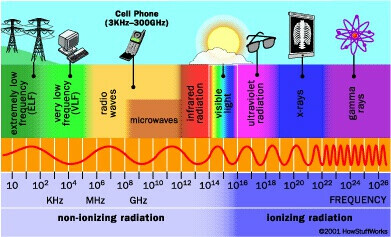 Non-ionizing radiation - the one coming from cellular phones or microwaves - doesn't directly damage human DNA, but has some subtle effects. Increased brain-glucose activity in the area of the brain just next to the antenna of the phone is one of them, but that's still far from brain cancer. Glucose is a suger serving as a metabolic brain fuel, but its increase could also happen as you turn on your favorite tune or if something invokes a dulcet memory. Actually, even in the case of a simple visual response the glucose burst is much more dramatic, but that in no way means that looking at objects causes cancer, according to a recent study published in The Journal of the American Medical Association. Unfortunately, gaining further evidence has proven hard to find due to the sparse nature of our exposure and varying cell phone use. To limit the risk, though, we can always try to reduce calls to under 10 minutes or use a Bluetooth headset if we plan on spending more than an hour per day on the phone is a first step. Keeping the phone away from the body and not using it in a car without an external antenna should decrease radiation exposure. 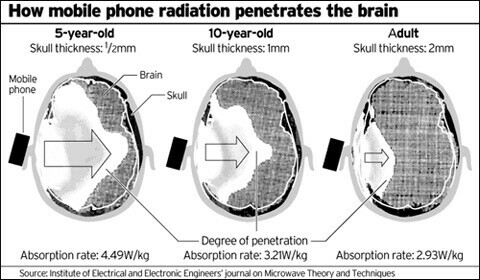 Finally, radiation hazard is higher in children, so keeping them away from using cell phones is definitely a good idea. The bottom line is that there is no conclusive evidence that cellular phones cause cancer. In the future, if companies release phone-log data, we might be closer to knowing the truth, but meanwhile the only thing left to do is exercising caution. 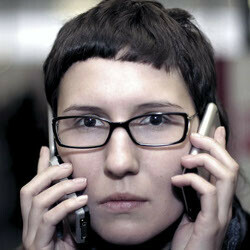 Wow the picture to the Verizon "Can you hear me now" guy, looks more girly than he did before huh? This is very interesting. That thermal picture proves that something is happening. If it's cancer causing we still don't know, but it sure looks like something is happening. I talk for 5 minutes at a time, & most of the time I text. If I ever need to talk for an extended time I will use a blue tooth headset. I may even go back to a wired headset just so there is nothing wireless going through my head. I may even shut my Wi-Fi when I don't use it. It's something to think about. I hope this brain cancer thing is not true! I want to live to see my grandchildren grow. We only have one life so we owe it to ourselves to take care. Yea something is happening....your using a battery powered device that (like most things with batteries) gets warmer the longer you use it. Common sense, come on people! I find this hella ridiculous. If people wanna fuss about radiation from cell phones then they can just stop using them. You can get radiation from just about anywhere now. Point being these people need to calm their balls. Bananas give off radiation, why don't monkeys die of stomach or throat cancer? If is a big word, if we all wait to find out if the cell phone can damage our bodies most of us will die first. On the other hand it would be foolish to think that we were killing ourselves by using a mobile phone. To Rawrzellers: I am a little concerned about my health so i check up on various websites, it really isn't at all helpfull to find comments like yours, i was off work today and still i spent around two hours (2 hours!) on my cell phone, It in simply not possibe to not use a cell phone in any kind of business these days. 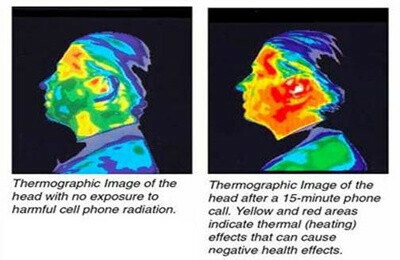 I am really concerned about the thermographic illustration It is TOTALLY misleading 1) The temperature ranges are not give 2) The main area that heats up is not the brain, but the face !!! 3) After 15 min the phone will heat up not because of microwaves, but because of the battery!!! 4) The electroschematics post from which this picture is taken, alleges that heating up one degree causes all kinds of health effects, for most of which there is no evidence !